Paleo Challenge… Are you in? Mike’s buddy Chris got out of the car and thrown into a workout, thanks for hangin’ with us! 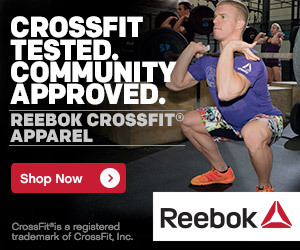 Aurora will be lucky to have you, should you decide to pursue CrossFit over there. On Monday, October 18, we will be kicking off our first Paleo Challenge. This will be a competition among all participants. It will run from October 18 – November 20. The buy-in will be $20 and winner takes all. This is open to the public so anyone can participate. Get your entire house on-board and your success rates will go through the roof. We will be offering two informational meetings to talk about the details of the challenge, explain what you can/cannot eat, cheat days, etc… The first one will be on Wednesday, October 13, immediately following the 5pm WOD. This Saturday’s 9am WOD is moved to 1pm and the second informational meeting will be immediately following the 1pm WOD. I’m in for $20.00 anything that keeps me away from the goodies..
Ahhh yeah…. Tyler, Gretchen, and I are in…. My attorney is reading through the fine print as i type. Removing my SuperPump is like cutting Sampson’s hair, I would only be mortal then. Cody, the “Tagging” allowed at the gym is by the owners during the “Nooner” sessions!